Home field is supposed to be an advantage. That’s what the Spanish Springs Cougars were hoping. They were riding a win streak and came in as the number one seed in their side of the playoff bracket. At least they won the coin toss, but that backfired when the Miners quarterback Drew Scolari ran 45 yards, after a play fake to Peyton Dixon, on the very first play from scrimmage to get the opening score. Later in the quarter, Scolari got them to the one with the same play, only this time he ran to the right side. Two plays later Dixon scored his 35th TD of the year. The first half was all Miners. At the intermission they had 162 yards rushing, compared to Spanish Springs 16. The Cougars had better numbers in the air, 94 to 48, but without the run game, Tristan Szabo was forced to the air and completed just 6 of 18. It wasn’t until the third period that the Cougars could mount a consistent offensive drive. Szabo found his favorite receiver, Jordan Dudick, who had 58 catches coming into the game, on consecutive pass plays. The last one, an 11 yard jump ball catch over the defense for the touchdown. On the first play of the very next series, Dixon went around his right side, broke a couple of arm tackles and out raced everyone to the end zone 84 yards away, his second longest run of the year. His previous long run was for 86 yards. A couple of minutes later, Scolari hooked up with Colby Crisp, who was all alone in the end zone, for a 17 yard touchdown. 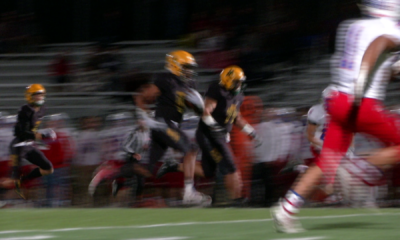 Bishop Manogue capped off the third period with a 26 yard field goal from Gonzalo Martinez. In the fourth, it was more of the same. 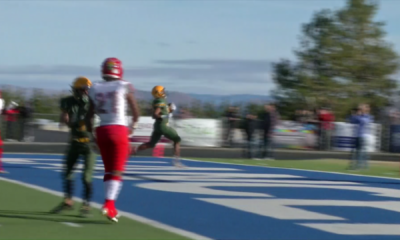 The Miners’ Dixon, had a 25 yard dash for six more, and Michael Schneider found a small hole over his own left side to score from just two yards. They ended the game with 416 yards rushing and 98 passing. The Cougars ran for 64 and passed for 149. Dudick had six catches for 111 yards. Next Friday Bishop Manogue will play the No #1 team in the state, Damonte Ranch for the Northern 4A title. 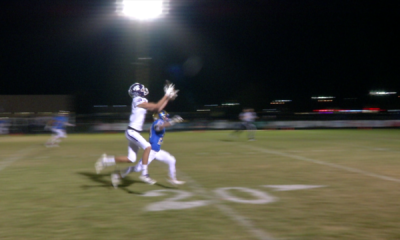 The winner of that game will play in one of the state semifinal games on November 24, against either Arbor View or Faith Lutheran, for the right to play the following week in Las Vegas for the state championship. The semifinal game is a day game at McQueen High School. 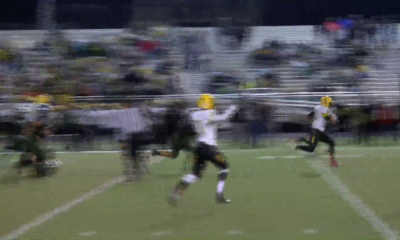 Just click to see the video highlights of the Bishop Manogue vs Spanish Springs game.